Robert E. Lee and Traveller. The Racism Gestapo has declared war on the Confederate States of America (which hasn’t even existed for the last 152 years), Presidents George Washington, Thomas Jefferson and even Abraham Lincoln. Now the racism-is-everywhere mob is taking aim at General Robert E. Lee’s horse. Well, sort of. As reporter Andrew Malcolm of the right-leaning HotAir.com news portal noted, the University of Southern California’s Trojan mascot is under fire. Well, actually it’s what is underneath the Hellenic mascot that’s a burr under the saddle of certain snowflakes. Saphia Jackson, co-director of the USC Black Student Assembly is upset that the white Arabian horse that the university’s Trojan warrior mascot rides just happens to have a name that’s almost the same name as Robert E. Lee’s steed. Lee owned a white horse. 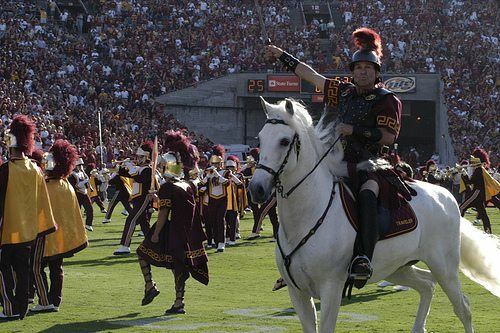 USC’s Trojan warrior also rides a white Horse. 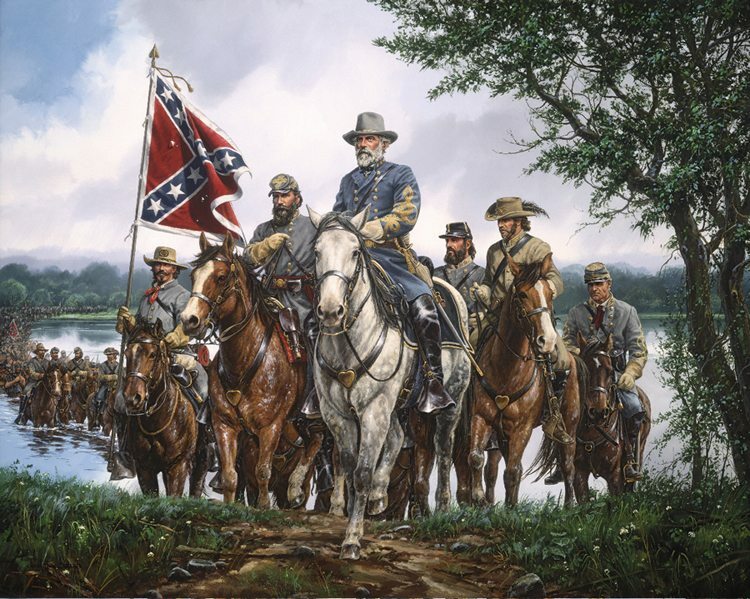 Lee defended the Confederacy, which had legal slavery. USC’s Trojan warrior defended Troy, which also had legal slavery. Lee’s horse’s name was Traveller (two Ls). USC’s Trojan’s horse’s name is also Traveler (one L). The blatant and in-your-face racism of Southern Cal simply couldn’t be more obvious. At least in the eyes of today’s hip and with it Social Justice Warrior. It was nearly 56-years ago when Los Angelino Richard Saukko galloped his way around the Los Angeles Memorial Coliseum astride Traveler in what was suppose to be a one-time publicity for the USC football team. But that was then, this is now. Now Traveler IX is ready to take the field. Then again, maybe not. Los Angeles Times reporter Nathan Fenno cites there was a rally held on campus last week in a show of solidarity with their East Coast comrades in their weeks-old battle against dead white guys. At the rally, according to the student newspaper the Daily Trojan, Saphia Jackson, co-director of the USC Black Student Assembly, asked students not to be quiet, and reminded that “white supremacy hits close to home” and referenced the name of the Trojans mascot. Saukko died in 1992, but his widow wasn’t surprised when a reporter called Friday. She noted that the name of Lee’s well-known horse included an extra “l” and, besides, Traveler was already named when her late husband purchased him for $5,000 in 1958, half the asking price.